Professor of the Moscow State University, Doctor of political sciences, founder of the contemporary Russian school of Geopolitics, leader of the International Social Movement “Eurasian Movement“, Moscow, Russian Federation. The Multipolar Theory represents a unique direction that cannot be qualified simply in terms of “progress/conservatism”, “old/new”, “development/stagnation”, etc. The unipolar and globalist view on history imagines the historical process as a linear motion from the worse to the better, from the underdeveloped to the developed, and so on and so forth. In this case, globalization is seen as the horizon of a universal future, and everything that impedes globalization is simply seen as the inertia of the past, atavism, or a striving to blindly preserve the “status quo” at all costs. In virtue of such a percept, globalism and “The Sea Power” are also trying to interpret Multipolarism as exclusively being a conservative position opposing the “inevitable change”. If globalization is the Postmodern (the global society), Multipolarism appears to be resistance to the Postmodern (containing elements of the Modern and even Pre-Modern). Alas, it is indeed possible to consider things under a different visual angle and set aside the dogmatics of linear progress or the “monotonous process”. The idea of time as a sociological category of the philosophy of Multipolarism is based on interpreting the general paradigm of Multipolarism through the view of an absolutely different system. Multipolarism, in comparison with unipolarity and globalism, is not just an appeal to the old or a call for preserving everything as it is. Multipolarism does not insist either on preserving national states (the Westphalian world) or on restoring the bipolar model (the Yalta world), nor on freezing that transitional state where international life is currently positioned. Multipolarism is a look into the future (that which has not yet been), a project of organization of the world order on absolutely new principles and elements, and thus, a serious revision of the ideological, philosophical, and sociological axioms that modernity rests upon. Multipolarism, as well as unipolarity and globalization, is oriented towards the construction of that which has never been before it, to the creative strain of free spirit, the philosophical search and the striving for building a better, more absolute, fair, harmonious, and happy society. What is different, however, is that the character of this society, its principles and values, and also the methods to construct its foundation, are seen in a radically different way when compared to the globalists’ vision. Multipolarism sees the future to be multiple, full of variety, differentiated, dissimilar, and preserving a wide palette of collective and individual self-identification choices. There are also undertones of frontier societies that experience the influence of different identification matrices. This is a model of the “flourishing complexity” of the world, where a multitude of places combines with a multitude of times, where multiscale collective and individual actors engage in a dialogue, and thus figuring out and sometimes transforming their identity in the course of such a conversation. The West’s culture, philosophy, policy, economy, and technology are seen in this future world to be just one of many local phenomena, in no way excelling the culture, philosophy, policy, economy, and technology of the Asiatic societies and even the archaic tribes. All that we deal with in the form of different ethnoses, peoples, nations, and civilizations are equitable variations of “human societies” (“Menschliche Gesellschaft”). Some of them are “disenchanted” (M. Weber) and materially developed, while others are poor and plain, though still “enchanted” (M. Eliade), sacred, and living in harmony and equilibrium with their ambient existence. Multipolarism accepts whichever choice society makes, but any choice becomes sensible only in the context of space and a historical moment, and hence, it remains local. The most that Western culture, perceived as something local, can do for others is be a source of admiration and arouse delight, but a claim for universalism and separation from the historical context turns it into a simulacrum, into a Quasi-West, into a cartoon and kitsch. To some extent, this has already happened in regards to American culture’s influence over Europe, where it is still easy to recognize Europe, but this Europe is hypertrophic, sterilized, and deprived of internal harmony and proportions, charm, and tradition. It is a Europe of the universalist project and it is no longer organic, taking on the characteristics of a complex, paradoxical, dramatic, tragic, and contradictory historical and spatial phenomenon. If we refer to the past, we will easily find out that the Multipolar World, the international order based upon the principle of Multipolarism, never existed. Multipolarism is therefore a project, plan, and strategy of the future, not a mere inertia or sluggish resistance to globalization. Multipolarism observes the future, but sees it in a radically different way than the proponents of unipolarity, universalism, and globalization do, and it strives to bring its vision into life. These considerations demonstrate that, in a certain sense, Multipolarism is also the Postmodern (not the Modern or Premodern), but simply different from the Postmodern visions of globalism and unipolarity. In this special sense, the Multipolar Philosophy agrees that the present world order, and also that of the past (national or bipolar), is imperfect and demands a radical alteration. The Multipolar World is not an assertion of K. Schmitt’s Second or Third Nomos of the Earth, but a battle for the Fourth Nomos that must come in place of the present and the past. 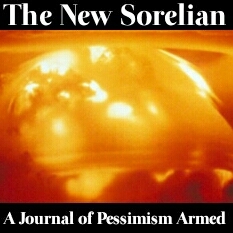 As well, Multipolarism is not rejection of the Postmodern, but the establishment of a radically different Postmodern than the version suggested by the globalists and proponents of the unipolar world; different in relation to the neo-liberal dominating version, and in relation to the critical antiglobalist and alterglobalist position, it will be based upon the same universalism as neo-liberalism, but only with the reverse sign. The Multipolar Postmodern therefore represents something altogether different from the Modern or Pre-Modern, neo-liberal globalism or unipolar America-centric imperialism, or leftist antiglobalist or alterglobalist ideas. 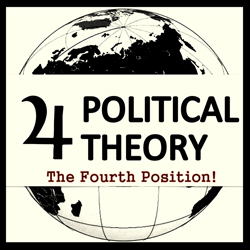 Therefore, in the case of the formalization of Multipolarism into a systemized ideology, the conversation drifts precisely to “The Fourth Political Theory”. The Multipolar Idea recognizes that national states do not correspond with the challenges of history, and moreover, they are merely a preparatory stage for globalization. Therefore, it supports integration processes in specific regions, insisting so that their borders consider the civilizational peculiarities of the societies historically developed in these territories. This is a positive feature of postmodernism. The Multipolar Idea posits that the significance of new non-state actors must increase in international politics, but these actors must be, first of all, original historically developed organic societies (such as ethnoses) having an established relationship to their space of activity. This is also a postmodernist feature. The Multipolar Idea rejects the universal “Great Narratives” (stories), European logocentrism, rigid power hierarchies, and an assumable normative patriarchate. Instead of this, it supports the value of local, multifaceted, and asymmetrical identities reflecting the spirit of each specific culture, whatever it is and however alien and execrable it seems to the rest. This is yet another postmodernist feature. The Multipolar Idea rejects the mechanistic approach to reality and the Descartes division into the subject and the object. It does this by affirming integrity, holism, and an integral approach to the world, one that is organic and balanced, based rather upon the “geometry of nature” (B. Mandelbrot) than on the “geometry of the machine”. This yields ecologism for the Multipolar World, rejection of the “subjugation of nature” concept (F. Bacon), and transition to “a dialogue with nature”. This is an even better postmodern feature. When the conversation drifts to the measure of things in the future world, serious contradictions begin to arise between the Multipolar Theory and Postmodernism. Liberal and Neo-Marxist Postmodernism operate with the basic concepts of the “individual” and linear “progress”, conceived in the prospect of the “liberation of the individual” and, on the last stage, in the prospect of “liberation from the individual” and a transition to the post-man, be it a cyborg, mutant, rhizome, or clone. Moreover, it is the principle of individuality that they consider universal. Here, the Multipolar Idea sharply diverges with the main line of Postmodernism and posits the society, collective personality, collective consciousness (E. Durkheim), and the collective unconscious (K. G. Jung) as the center of things. Society is a matrix of existence; it creates individuals, people, languages, cultures, economies, political systems, time, and space. In the Multipolar Idea, there is not just one society, as societies are many, and they are all incommensurable with one other. An individual has become “the measure of things” in such an absolute and accomplished form only in one type of society (Western European), and in all other societies, he has not and will not become so. This is because they are structured in an absolutely different way. One must acknowledge the inalienable right for each society to be such as it wants to be and to create reality by its own means, be it through assigning an individual and man a superior value or not assigning them any. The same idea concerns the issue of “progress”. Since time is a social phenomenon, it is structured in a different way in each society. In some societies, it bears in itself an increase in the role of the individual in history, while in others it does not. Therefore, there is no determining factor across societies concerning the concepts of individualism and post-humanity. The fate of the West will likely continue to proceed towards these aforementioned directions, as this path is connected with the logic of its history. The West’s embrace of individualism and post-humanity has the potential to inflict collateral damage to other societies and nations, as even if these ideas are already somewhat present in their culture, it is as a rule usually in the form of externally enforced colonial precepts that are align paradigms for the local societies themselves. It is this colonial imperialist universalism of the West that is the main challenge for the Multipolar Idea. By using the terms of geopolitics, it can be said that Multipolarism is the land, continental, tellurocratic version of the Postmodern, whereas globalism (as well as antiglobalism) is its sea and thalassocratic version. From the position of Multipolarism, let us now consider the basic theories of globalization and how they relate to one another. The World Polity Theory (J. Meyer, J. Boli, etc.) presumes the creation of an integrated global state, and with the support of individual citizens, it is maximally opposite to Multipolarism and represents its formal antithesis. It is similar to the theses of “the end of history” (rapid or gradual) by F. Fukuyama and all the other rigidly globalist unipolar projects that describe a desirable and probable future that completely contradicts the Multipolar one. In this case, between Multipolarism and the theory of globalization, there exists a relation of plus and minus, black and white, etc. As an example, there is a radical antagonism of ultimatums: either “The World Polity” or Multipolarism. The case study of relations is more difficult to conduct with the World Culture Theory (R. Robertson) and “transformationists” concepts (E. Giddens, etc.). Critical appraisals of globalization in the spirit of S. Huntington can also be referred to here. In these theories, they analyze the balance of two trends – universalization (pure globalism) and localization (R. Robertson) – or the new appearance of civilization contours (S. Huntington). If the attitude of the Multipolar Theory to universalization is unambiguously antagonistic, a number of phenomena that manifest themselves as secondary effects in the course of globalization can, on the contrary, be appraised positively. The weakening of the sociopolitical context of national states in these theories is demonstrated from two sides: partially, their functions are transferred to global entities, and partially, they turn out to be in the hands of some new, local actors. On the other hand, due to the fragility and looseness of national states, civilizational and religious factors assume ever greater importance. It is this set of phenomena that accompany globalization, and they are consequences of the weakening of previous state and ideological world models that deserve positive attention and become elements of the Multipolar Theory. The secondary effects of globalization return societies to a specific spatial, cultural, and occasionally, religious context. This leads to the reinforcement of the role of ethnic identity, an increase in the importance of the confessional factor, and increased attention to local communities and problems. In summarizing these phenomena, they can be realized as strategic positions of the Multipolar World Order that must be fixed, fastened, and supported. Within the “glocalization” described by Robertson, Multipolarism is interested in “localization”, being in complete solidarity with it. Robertson himself believes that the processes of “glocalization” are not predetermined and can sway to one side or another. Accepting this analysis, the supporters of the Multipolar World must consciously apply their efforts so that the processes sway to the “local” side and overweigh the “global” one. The World-System Theory by I. Wallerstein is interesting for the Multipolar Theory due to the fact that it adequately describes the economic, political, and sociological algorithm of globalization. Wallerstein’s “World System” represents the global capitalist elite as huddling around “The Core”, even if its representatives come from the “periphery” countries. “The world proletariat” that gradually transits from a national identity to a class-based (international) one personifies the “periphery” not just geographically, but also socially. National states are no more than sites where one and the same mechanical process takes place. This is the enrichment of oligarchs and their integration in the supranational (global) “Core” and the pauperization of the masses, which gradually interfuse with the working class of other nations in the course of migration processes. From the point of view of the Multipolar Theory, this analysis does not consider geopolitics or the cultural and civilizational factor. The latter is the disregard for the topic inherent in Marxism as a whole, which is first of all focused on the disclosure of the economic mechanics of society’s organization. In the present world, “The Second World” (i.e. regional integration formations or “Great Spaces”) is situated between “The Core” and “the Periphery”. Under I. Wallerstein’s logic, their existence changes nothing in the general structure of the world-system, and they merely represent a step in the direction of complete globalization – the integration of the elites in “The Core” and the “internationalization of the masses” occur more rapidly here than in the context of national states. But under the logic of the Multipolar Theory, the presence of “The Second World” radically changes it all. Between the elites and masses existing in the various integration structures within the limits of “The Second World”, there can arise a model of relations other than the liberal or Marxist analysis forecast. S. Huntington called it “modernization without Westernization”. The essence of this phenomenon is that, while obtaining a Western education and mastering Western technologies, the elites of the periphery countries often act in the following way: they do not integrate into the global elite, but instead return to their society, confirm their socialization and collective identity within it, and put their mastered skills to service for their own countries, thereby not following the West, and even opposing it. The factor of cultural identity (often religion) and civilizational affiliation turns out to be stronger than the universalist algorithm presented in the technology of modernization and the very medium that begot it. The process of societies’ stratification and the elite’s Westernization as described by Wallerstein definitely takes place, but a different process may also take place – “modernization without Westernization”. Together with regional integration without global integration, these processes represent a tendency which I. Wallerstein himself ignores, but which his analysis ironically allows one to be able to clearly see and describe. This becomes a very important element and program thesis for the Multipolar Theory. As for the global horizon, all societies now have to confront most of the theories of globalization firsthand, and the Multipolar Theory can propose the following principles. The true completeness and integrity of the world is objectively real, but it can only be properly perceived once one removes the surrounding banality which obscures his pure understanding of it. Heidegger called this the “authentic existing of Dasein”. Grasping the world as a whole can be only possible through the modification of existence, not through the accumulation of ever new data, expressions, meetings, conversations, information, and knowledge. According to Heidegger, man is spurred on to study new places and landscapes in order to escape from genuine existence, and this concept is personified in the figure of Das Man, i.e. an impersonal and abstract, yet concrete, living form that finds various substitutes to replace the true experience of existing. Das Man, having an inauthentic existence, dissolves the concentration of his own consciousness through “curiosity” and “gossip”, two of the various forms non-authentic existence. The simpler that communications in the global world are, the more senseless they become. The more saturated the information flows are, the less people are able to reason and decode their meaning. Therefore, globalization in no way contributes to one acquiring experience of the whole world, but on the contrary, misleads from it by dispersing the attention in an infinite series of meaningless puzzles where the parts are not attributes of the unified whole, i.e. they exist as unrelated fragments of existence. The global horizon is not reached in globalization – it is comprehended in a profound existential experience of a place. Therefore, different societies do not collide in the global horizon, but with the challenge of globalism as an ideology and practice that attacks every society and challenges all local communities, they could find a common ground in rejecting the enemy that menaces all peoples and cultures without discrimination. The Multipolar Theory recognizes the universalism of this challenge, but holds that it must be repulsed just as universally in order to stave off a forthcoming catastrophe, disaster, or tragedy. The horizon of globalism is conceived as something that must be defeated, overcome, and abolished. Each society will do it in its own way, but the Multipolar Theory suggests generalizing, consolidating, and coordinating all the forms of opposition to the globalization challenge. As global as the challenge of globalization is, so too must be its rejection, but the structure of this rejection, so as to be full-fledged, independent, and prospective, must be multipolar and suggest a clear and distinct project of what should be put in place of globalization. The construction of the Multipolar World demands the developing of a special attitude to all basic aspects of the globalization process. We have seen that although Multipolarism opposes unipolarity and globalization, the question is not simply about the rejection of all the transformations that surround modernity, but about selecting the multipolar format for these transformations, to influence them, and to guide the process to the pattern seen as being the most desirable and optimal. Therefore, Multipolarism in certain situations is not so much meant to directly oppose globalization as it is to recapture the initiative and allow the processes to go along a new trajectory, thereby turning “a poison into a cure” (“to saddle the tiger”, to use a traditional Chinese expression). Such a strategy repeats the logic of “modernization without Westernization”, but on a more generalized and systemized level. Some separate societies in a regional culture borrow Western technologies so as to reinforce themselves and repulse the pressure of the West at certain times. Multipolarism suggests comprehending such a strategy as a system that can serve as a general algorithm for most different non-Western societies. Let us give some examples of such a reinterpretation of separate aspects of globalism through the multipolar perspective. Let us take the network and network space phenomenon. By itself, this phenomenon is not neutral. It represents the result of a series of gradual transformations in the sociological understanding of space in the context of “The Sea Power” on the path of ever greater information medium dilution – from the sea through the air to the infosphere. Along with it, the network represents a structure that perceives the presence of relations between the system elements not in the organic, but in the mechanic, way. The network can be constructed between separate individual elements that initially are not connect with each other and have no common collective identity. As it evolves, the network phenomenon presents the prospect of overcoming humanity and entering into the post-human age. This is because the centrality of man becomes ever more and more relative (N. Luhmann, M. Castells, etc.) in the very functioning of self-organizing systems like the network. From this point of view, the network represents a reality that is cardinally “Sea”, Atlantist, and globalist. In classical geopolitics, we can see that the positions of the Land and Sea are connected not so much by the presence of one element or another, but with the sociological, cultural, philosophical, and only then, strategic conclusions different societies make from their contact with the Sea. K. Schmitt emphasizes that in spite of creating a global empire based upon navigation, Spanish society continued preserving its strictly land-based identity, which also particularly manifested itself in the social organization of the colonies and in the difference between the future destinies of Latin and Anglo-Saxon America. The presence of developed navigation does not necessarily make a power a sea one in the geopolitical sense of this term. Moreover, the objective of the Land Power and, in particular, of the Heartland, is to obtain access to the seas, break the financial blockade on the part of the thalassocracy, and begin to compete with it in its own element. The situation with the network space is the same. The Multipolar camp needs to master the structure of the network processes and their technologies, learn the rules and regularities of network behavior, and then gain a possibility to realize its objectives and goals in this new element. The network space opens new possibilities for smaller actors: after all, the locations of a huge planetary level transnational corporation, a great power, or an individual minimally mastering programming skills are in no way different from each other, and in a certain sense, they appear to occur in similar conditions. The same can be said for social networks and blogs. Globalization banks that code diffusion into a multitude of network participants will one way or another install them in a context, whose basic parameters will be controlled by owners of physical servers, domain name registrars, providers, and hardware monopolists. But in the antiglobalist theories by Negri and Hardt, we have seen how leftist-anarchist theorists suggest coopting this circumstance for their interests while preparing a “rebellion of multitudes” that is called for to overthrow the control of the “empire”. 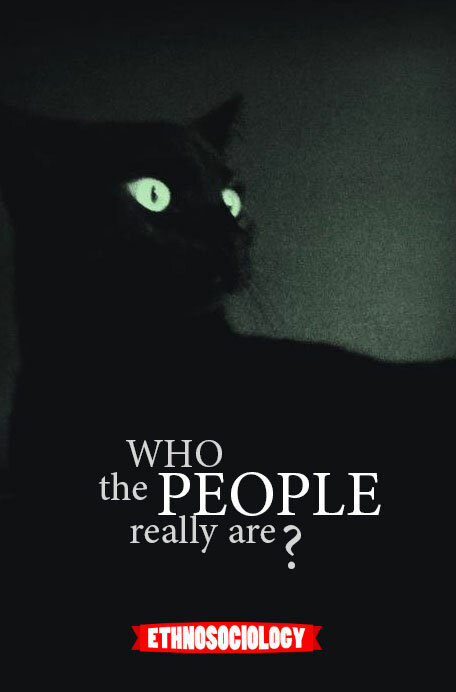 Something analogical can also be suggested in the Multipolar prospect, but the question is not about conducting a chaotic sabotage of the globalists plans through the use of the “multitudes”, but about constructing virtual network civilizations tied to a specific historical and geographical place and possessing a common cultural code. A virtual civilization can be considered a projection of the civilization as such in the network medium, assuming that the lines of force and the identification perceptions that are dominant in a corresponding cultural medium are consolidated there. This is already used by different religious, ethnic, and political forces that are in no way globalist or even antiglobalist, and they coordinate their activities and propagate their views and ideas with the help of different instruments of the Internet Network. National domains and the development of network communications in local language systems are another form. With effective operation in this medium, this can contribute to the reinforcement of the youth’s cultural identity, as they are naturally predisposed to the allure of new technologies. The example of the “Chinese Internet” (where access is legally and physical limited) can, according to the opinion of some Chinese governmental experts, damage the security of Chinese society. On the reverse, in the political, social, and moral fields, this example demonstrates that purely restrictive measures can also exercise some positive effect for the reinforcement of Multipolarism. The global network can turn into a multipolar one, namely, into an aggregate of intersecting but independent “virtual continents”. Thus, instead of the singular network, there will appear many networks, each being a virtual expression of a specific qualitative space. All together, these continents can be integrated in a common multipolar network, differentiated and moderated on the grounds of the multipolar network paradigm. Eventually, the content of what is in the network will be a reflection of human imagination structures. If actualizing these structures in a multipolar way (i.e. as those just making sense in a specific qualitative historical space), it is not difficult to imagine what the Internet (or its future analogue) could be in the Multipolar World. On a practical level, under the present conditions, a network can already be considered as a means of consolidating active social groups, personalities, and societies under the aegis of promoting Multipolarism, i.e. gradual multipolar network construction. Network wars are one more phenomenon of the globalization period. One should also be armed with the methodology of network wars – both in the common theoretical and application aspects – in constructing the Multipolar World. In this sense, the Network-centric Principle adapted during the reorganization of the Armed Forces of the Russian Federation represents an absolutely justified decision, addressed to reinforce the Heartland’s positions and increase the performance of the army that constitutes one of the main elements in the multipolar configuration. The Network-centric Principle of warfare has some technical and principal aspects to it. The equipping of separate units of the Russian Army with network attributes (tracking devices, operative two-way communication devices, interactive technical means, etc.) is a self-evident side of the issue, demanding no special geopolitical grounds. What is much more important is in considering another more common aspect of network warfare. A network war, as it appears from its theorists’ actions, is constantly waged in all directions – against enemies, allies, and neutral forces. In the same way, network operations must be evolved in all directions and on the part of the center (or some centers) for the Multipolar World construction to succeed. If we assume that the actor pursuing a network war is not a state, but a non-state entity targeting the creation of the Multipolar World (like those that the US network war targets in order to establish the unipolar world), we will see that waging this war by different poles (e.g. Russia, China, India, Iran, etc.) will create interference and resonances and multiply the reinforcement and effectiveness of network strategies. By constructing the Multipolar World, each pole is interested in reinforcing the other poles, but also in weakening the hyperpower’s global hegemony. Thus, a network war waged by the Multipolar World can represent a spontaneous convergence of effort with structural ramifications that can be extremely effective. The reinforcement of China is beneficial for Russia, just as the security of Iran is beneficial for India. The independence of Pakistan from the US will positively redound upon the situation in Afghanistan and Central Asia, among other places. By directing networks, information, and image flows that are associated with the multipolar idea in each and every direction, a network war can become extremely effective, as the securing of the interests of one Multipolar World actor automatically furthers the interests of another. In this case, coordination must only occur on the highest level – on the level of the countries’ representatives in the multipolar club (as a rule, these are heads of states) where the common multipolar paradigm will be exactly coordinated. Network war processes will bring this common strategy into life. The second important part of the Network-centric War theory is in emphasizing the increased sensibility to initial conditions. These initial factors that affect the end result are the point in which the possible conflict starts, the position that other participating countries take up, and the information medium that broadcasts the conflict’s developments. Therefore, higher priority attention should be paid to preparing the medium – the local and global one. If the correlation of forces, a computation of the consequences of the various steps taken in the information field, and the preliminary preparation of image presentation are made correctly, this can make a conflict situation impossible by persuading a potential opponent of the hopelessness of resistance or armed escalation. This concerns traditional warfare as well as information wars, where the fight is waged for influence upon public opinion. Therefore, the countries declaring their orientation to Multipolarism can and must actively use the theories and practices of network-centric operations for their interests. The theorists of network wars fairly consider them to be a crucial strategic instrument of waging a war in the Postmodernist conditions. Multipolarism undertakes the challenge of the Postmodern and begins a battle for its direction. Network-centric operations represent one of the most important territories to wage this battle. Another example where a strategy of turning “a poison into a cure” can be found is in the chaos phenomenon. Chaos ever more frequently figures into modern geopolitical texts, as well as in globalization theories. Proponents of the rigid unipolar approach (such as S. Mann) suggest manipulating chaos in favor of “The Core” (i.e., the US). Antiglobalists and postmodernists welcome chaos in its literal sense – as anarchy and disorder. Other authors try to see buds of order in the chaotic reality. First, the mythological concept of “chaos” as a condition opposing “order” is predominantly a product of Greek (i.e. European) culture. This opposition is initially based upon the exclusiveness of order, and subsequently, as philosophy develops and order is identified with rationality, chaos has entirely turned into a purely negative concept, a synonym of irrationality, darkness, and inanity. It is also possible to approach this problem in another way, however, in a less exclusivist sense, and then chaos will discover itself to us as an entity not opposing order, but instead preceding its strained logical expression. Chaos is not nonsense, but a matrix from where sense is begotten. 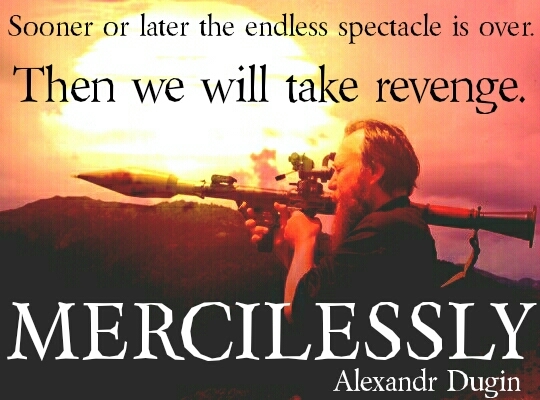 In Western European culture, chaos is an unambiguous “evil”, but this is not the case in other cultures. Multipolarism refuses to consider Western European culture as being universal, and hence, chaos itself loses its unambiguous negative image, and the order correlated with it attains a positive image. Multipolarism does not reason in terms of chaos or order, but it demands explanations every time – what chaos and what order, and in what sense does a specific culture hold one or another term? We approximately know how chaos and order are comprehended by Western culture, but how does the Chinese one comprehend it, for example? Indeed, the idea of “Tao” that is crucial for Chinese philosophy (“The Way”) is described in many texts in terms that strikingly remind one of the descriptions of chaos. Therefore, the multipolar approach states that the understanding of chaos and order is relative to civilizations, and the Western conception is not universal by any means. Firstly, globalists often understand “chaos” in the geopolitical sense as being anything that does not correlate with their perceptions of ordered sociopolitical and economic structures and that counters the establishment of their subjective global and “universal” values. In this case, everything that is valuable for the construction of the Multipolar World, including the insistence on other forms of identity, consequently bears within itself the seeds of the Multipolar Order and thus falls within the class of “chaos”. Per this example, “chaos” supports the construction of the Multipolar World and is its life-bearing origin. Finally, chaos, in the manner that it is understood as being pure disorder or weakly organized spontaneous processes taking place in a society, can also be considered from the position of Multipolarism. Whenever a chaotic situation (conflict, disturbance, collision, etc.) arises in a natural or artificial way, it is necessary to learn to control it, i.e. master the art of chaos moderation. Being against ordered structures by their vey nature, chaotic processes do not lend themselves to a straightforward logic, but it does not mean they do not have it at all. Chaos does have logic, but it is more complex and comprehensive than the algorithms of non-chaotic processes. At the same time, it lends itself to scientific research and it is actively studied by modern physicists and mathematicians. From the point of view of geopolitical application, it can well become one of the most effective instruments for constructing the Multipolar World. Alain de Benoist. Protiv liberalizma. SPb, 2009. Dugin A. Protiv modernizacii// Odnako, 2010. №10 (26). Thurnwald R. Die menschliche Gesellschaft in ihren ethno-soziologischen Grundlagen, 5 B. Berlin: de Gruyter, 1931-1934. Huntington Samuel P. The Clash of Civilizations and the Remaking of the World Order. New York: Simon and Schuster, 1996. Dugin A. Martin Heidegger and philosopgiya drugogo nachala. M., 2010. Heidegger called globalism with the term “Planeter Idiotism” having in mind the original Greek meaning of the word idioteς that implies a polis inhabitant deprived of civil identity, i.e., of affiliation to a phyle, caste, trade, cult, etc. See Dugin A. Martin Heidegger and philosopgiya drugogo nachala. Op. cit. Evola J. Cavalcare la tigre. R, 2001. 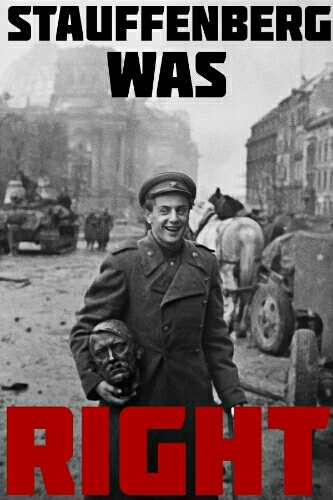 Schmitt С. Die planetarische Spannung zwischen Ost und West (1959)/Schmittiana – III von prof. Piet Tommissen. Brussel, 1991. Michael Hardt and Antonio Negri, Empire, Harvard University Press, 2000..
 Dugin A. The sociology of the imaginary. The introduction into the structural sociology. M., 2010. Ramonet I. Géo-politique du chaos. Paris: Galilée, 1997; Idem. Guerres du xxie siècle – Peurs et menaces nouvelles. Paris: Galilée, 2002. Mann St. R. Chaos Theory and Strategic Thought//Parameters. 1992. Autumn. № 55. Dugin A. Martin Heidegger and the possibilty of the Russian Philosophy. Op. cit.